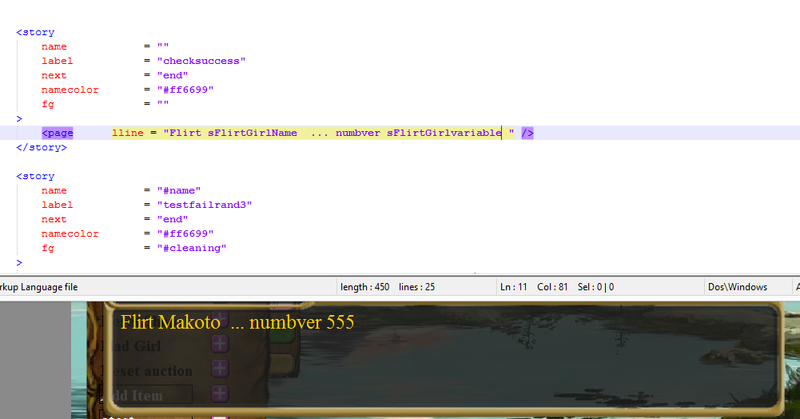 This girl the special command for girl specific variables can now display variables... though it can't fix my spelling. Another update requested by Nylva. A bit to powerful if someone set a variable name as i or a they could destroy the text system... but that is half the fun.